The crisis rocking the All Progressives Congress in Zamfara may have caused the party a greater loss than they imagined. 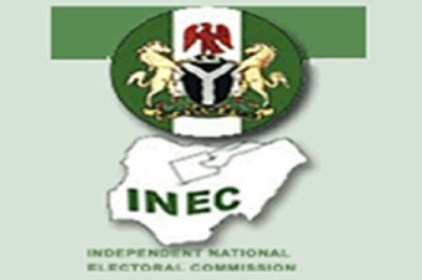 This is because the Independent National Electoral Commission (INEC) has banned the ruling All Progressives Congress (APC) from fielding candidates for elective positions in Zamfara state for the 2019 elections. 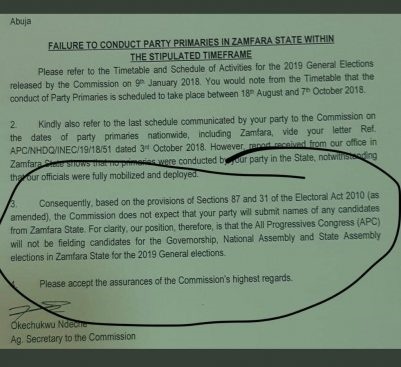 INEC told APC national chairman Adams Oshiomhole, in a letter titled “Failure To Conduct Party Primaries in Zamfara State Within The Stipulated Time Frame”, that it is not expecting any list of candidates from the party for Zamfara State.